Mirai Botnet | How to Prevent Mirai Botnet DDoS Attacks? Mirai is a self-propagating botnet virus that infects internet-connected devices by turning them into a network of remotely controlled bots or zombies. This network of bots, known as a botnet, is mostly used to launch DDoS attacks. The Mirai botnet code infects internet devices that are poorly protected. The attack is carried by using telnet to find those that are still using their factory default password and username. Mirai is known for its potential to infect tens of thousands of insecure devices and combine them to execute a DDOoS attack against a chosen victim. Mirai’s source code was made publicly available by the author after a successful attack on the Krebbs Website. Since this success, the source code has been developed and used by many others to launch attacks on internet infrastructure. In September 2016, KrebsOnSecurity was majorly hit by a record-breaking DDoS attack from a large number of Mirai-infected devices, shutting down their website for several days. This attack was executed via the Mirai botnet, a network of enslaved Internet of Things (IoT) devices including surveillance cameras, smart home systems, and routers. Poor or non-existent security practices, including the use of factory and hardcoded passwords, permitted the operators of the botnet to search the web to find ways of dominating these devices, providing the bandwidth required for launching an attack capable of smashing the KrebsOnSecurity domain and preventing legitimate traffic from getting through. After getting loaded into the memory on the BOT, the virus deletes itself from the BOT’s disk. The Mirai virus will continue to be active until the BOT is rebooted. Instantly after a reboot, the device is free of the virus, however, it only takes a few minutes before it once again gets discovered and re-infected. There are two key components to Mirai, the virus itself and the command and control center (CnC). The virus comprises of the attack vectors, Mirai has 10 vectors that it can launch, and a scanner process that actively looks out for other devices to compromise. The CnC is a separate image responsible for controlling the compromised devices (BOT) sending them instructions to launch one of the attacks against the victim. The attack vectors are greatly configurable from the CnC but by default Mirai inclines to randomize the different fields in the attack packets so they change with every packet sent. Mirai will remain to be a threat until the poorly protected devices are well secured with a reliable and excellent virus removal software. Mirai Botnet: How it Works and Why it Continues to be Dangerous? Mirai first scans the Internet for IoT devices that run on the ARC processor which runs a basic version of the Linux operating system. Mirai will be able to log into the device and infect it if the default username-and-password combo is not changed. The Mirai Botnet is considered to be dangerous as it is constantly mutating. Despite the fact that its original creators have been caught, their source code still lives on. Through it, there are alternatives like the Satori, the Masuta, the Okiru, and the PureMasuta. The PureMasuta, for instance, has the potential to weaponize the HNAP bug in D-Link devices. There are the latest and powerful botnet labeled IoTrooper and Reaper, which can compromise IoT devices at a much faster rate when compared to Mirai. The Reaper is capable of targeting a wide range of device brands, and has much greater control over its bots. Apart from influencing elections and mining cryptocurrencies, botnets are also considered to be dangerous to consumers and corporations as they are used for injecting malware, stealing personal data, defrauding advertisers, and launching attacks on websites. Due to the increased number of bots currently in existence, the hackers mainly have access to a type of hacked-together supercomputer that can be used for criminal purposes, and because the bots are distributed over different parts of the internet, it becomes very hard to stop that supercomputer. The very first botnet was developed in 2001 in order to send spam, and botnets are still used for this reason. The annoying messages get sent from so many different computers, and this makes it difficult for spam filters to block them. Botnets are also commonly used as foot soldiers in a DDoS attack, including the one the Mirai botnet served. In these attacks, a target server is just bombarded with web traffic until it gets overwhelmed and made to go offline. How to Protect Yourself from Botnets? Make sure you browse on secure websites because browser-based exploits detected on compromised websites can actually inject malicious code onto your computer. Your passwords, keystrokes, and other personal data can easily get recorded and transmitted to servers all over the world. Regularly update your software and devices. Software updates do not just stop with the latest features but they also include the latest security fixes. Every time you perform these updates, you are actually protecting yourself from cybercriminals wanting to use your computer against you and others. 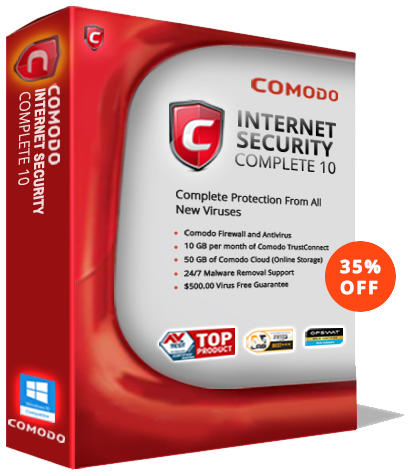 Use an inclusive antivirus solution like Comodo Free Antivirus that can prevent the spread of botnets by giving your computer all the protection it needs from malware and virus such as Mirai.